Horst Miracle Probes are Available Again! Horst Miracle Probes that make conventional RV tank monitoring systems read accurately, are available once again. When the original inventor shuttered his company, it looked like these wonderful little probes would disappear. 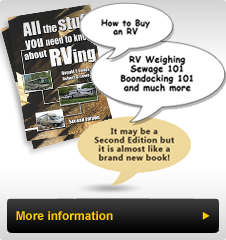 However, they are back into production with a new company and RV Parts Plus is fortunate to be one of the first sources for them. Initial orders may not have the exact packaging that will ultimately be offered, however in the interests of providing our customers with this product promptly, we ordered them in bulk and have packaged them ourselves to meet the demand for them now. 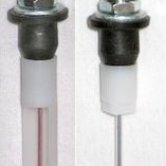 So if you have a RV with in-tank sensors, either the screw type attached to a "spin molded into the tank" sensor or the original "well nut" style with a couple of nuts visible at the tank connection, these Horst Miracle Probes will provide accurate tank level readings. Check out our TechTips #57, #58 and #59 for more information on these great little devices. Place your order under the Product Tab in the Accessories Section. Initial supply will be limited however we will do our best to increase availability as production ramps up and they are packaged in their conventional packaged form. Check them out today!